How amazing is it for a 6-9 year old child to make a computer game? Come to the My First Computer Game Design camp to find out. 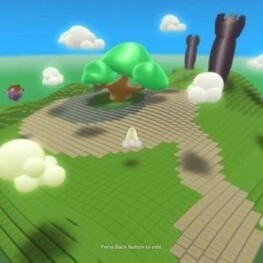 We will learn a simple visual computer language called Kodu to create, edit and play our Kodu world. We will create cool landscapes, move around various terrains, add characters to our fields and more. Students can’t wait to show their parents the race tracks they design and program. Beating mom or dad in the game is an extra bonus. We will talk about mathematical concepts like rotation, elevation, two and three dimension, zooming and more. This camp is a very unique opportunity to a young child to get an introduction to programming and designing a computer game.